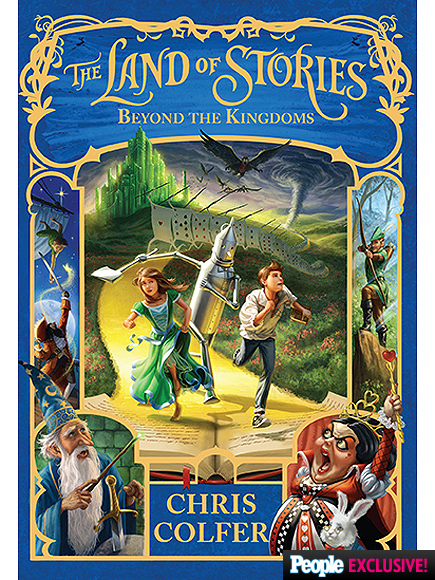 Last year, I did a cover reveal for The Land Of Stories: A Grimm Warning (TLOS 3) (https://readingreadingalldaylong.wordpress.com/2014/02/22/the-land-of-stories-3-cover-reveal/), and I thought that it would be fun to do one for the next installment! Today, Chris Colfer announced via Twitter the COVER AND TITLE! The cover released last February for the 3 book, and I believe we knew the title of TLOS 3 in November/December. So, this time it was a little later! Although, according to Little Brown Publishing, the book will be out one day before TLOS 3, which will be July 7, 2015! I’m so excited! This book will also be the longest in the series, which is 560 pages. Which will be AMAZING! The purple and the eyes to this one are so eye catching. 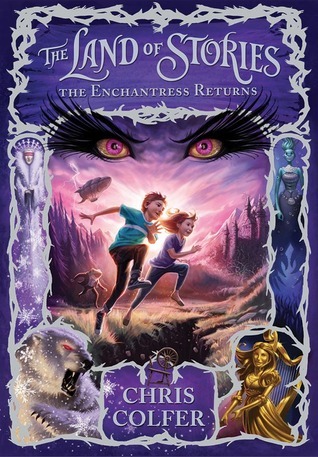 TLOS 4, is by far my favourite cover, as for what I can gather about this upcoming book! My 5 favourite Fairy Tales are: The Wizard of Oz, Robin Hood, Alice in Wonderland, Merlin, and Peter Pan. Most of the titles mentioned are similar to all of The Land Of Stories Books, as the main charcters fall/go into a different world, related to Magic and Fairy’s. That’s probably why I love TLOS so much, as nearly ALL fairy tales are incorporated, and they fall into a book! What more could I ask for? I definitley think that this book will be the best, as they are exploring “beyond the kingdoms”. I wonder where this land may fall on the map, or if it will be on there at all! The title is so clever, as it really relates to the content. Plus, it’s really catchy! As VERY requested, I will be doing a TLOS 4 predictions, as I have some really great ideas for what this book may have in store, according to the cover and title (by then, we will probably also have a goodreads synopsis). But, don’t look out for that until the end of June or even the Week that TLOS 4 releases! That’s it for today’s post! I hope you love my The Land Of Stories related posts, as much as I love writing them! Previous Post My Mailbox #1: Simon and Schuster Canada! Next Post Clean Teen Publishing: BEA 2015 + Giveaway!